Second in a three-part series on how to implement diversity in software engineering teams, by leaders at successful Silicon Valley tech companies. 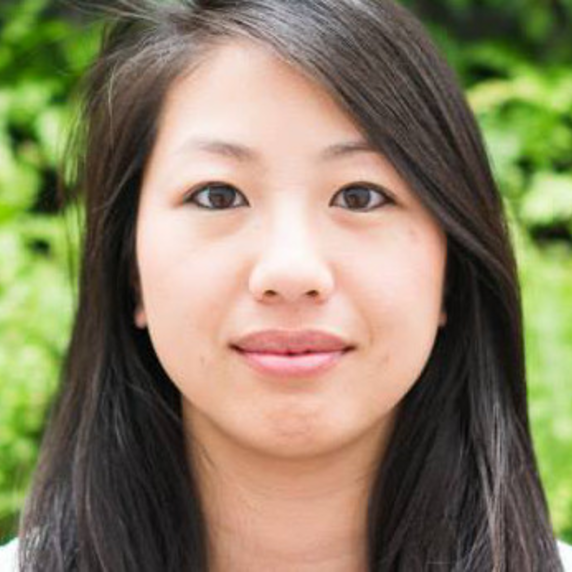 Brina Lee was hired as a full-stack engineer at Quip, working on their document editor and leading their Android platform. Brina majored in Communications at UC San Diego as an undergrad, and began her first job at a startup in a marketing position. She quickly realized the company needed a website, and taught herself to build it. She enjoyed coding and decided to pursue a CS degree. While taking the necessary classes to apply for a Masters program, she continued working part-time and later joined Yahoo! as an Interaction Designer. A year and a half later, after starting a CS Masters program at UCSD, she landed internships at Google and Facebook. After joining Facebook full time and going through the onboarding program, she joined Instagram in 2013 as the first female engineer. After more than two years there, she joined Quip over a year ago and is now an engineering manager after Quip’s acquisition by Salesforce. Quip’s diverse engineering team. Click for full size. Diversity not only attracts good engineers, it keeps them. In October 2015, I joined the engineering team at Quip, which, at the time, was 50 percent women and 50 percent men. 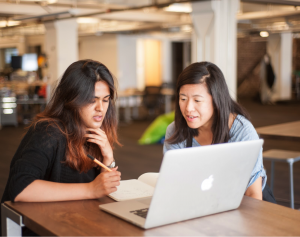 We are now up to twenty engineers — 30 percent are women, with plenty more in the pipeline. Quip has such a diverse team because our founders put a lot of thought into diversity before they even started the company. They wanted people who come from different backgrounds, and have worked on different things. In their experience, if you continue to build your team with everyone from one background, you get a product built for one mindset. Quip, they envisioned, was to be a productivity tool that could be understood and embraced by a wide range of people, not just Silicon Valley startup geeks. So they wanted that range of backgrounds and experience on the team. I was explicitly hired for my interdisciplinary experience beyond traditional software engineering roles. Have we succeeded, you ask? Measurably? I’d say so. Salesforce, whose corporate mission includes diversity and equality, bought our company in August for $750 million not only because of our diversity, but because of the product we’ve built and the team behind it. Diversity at Quip isn’t about quotas, or token hires. Diversity is about removing the concept that some people are categorized as “other.” To us, a team doesn’t feel right unless it’s full of people who are all different from each other. The world is full of LGBTQ+, Black, Latinx, and woman coders, as well as ones right out of college and those with 10+ years of experience. Teams should reflect that, too. Everyone’s perspective is valuable in building a better Quip. We don’t have explicit numeric goals, as I said, but we constantly ask ourselves if our teams mirror the makeup of our potential customer base and the society we live in. If they don’t, we ask ourselves if there’s something we can do to bring a broader range of qualified people onboard. Once you’ve made that decision, the first place to look is your recruiting funnel. Are you sticking to name-brand schools and big-name companies? We remove those from engineering candidates’ profiles when evaluating them. That way we’re not wowed that someone got into MIT, nor do we expect a Stanford grad to walk in with a network of business contacts on her phone. The first thing that matters is: Can you code? We also look for team skills: Can you communicate? Can you show us that you can think through a problem? You don’t need to solve it during the interview, but I want to see that you work with me to solve it, exactly as you would do on the job. We aren’t looking for the smartest person in the room. They might not be the best coder, or the best team member. Arrogance and know-it-all-ism are red flags in an interview for us. Maybe they really are smarter than everyone, but that won’t necessarily get our products built. To that end, don’t ask trick interview questions. Ask a question the candidate can think through, so you can observe how they think and work. Do they ask their own questions back, to better define the challenge? Can they sketch out the problem and solution on a whiteboard or a laptop? We start with Coderpad phone interviews, then bring promising candidates onsite for a whiteboard interview. We also do a laptop interview, where they have to sit at a screen onsite, looking at other people’s code and files to try to move a project forward. After all, that will be their daily job. And contrary to Silicon Valley fables, we realize people have lives outside of work. Yes, sometimes the two intersect — Bret Taylor and Kevin Gibbs actually came up with the idea of Quip while Kevin was on parental leave — but our co-founders understand the value of work and personal lives being separate, too. Our culture recognizes that if good employees are supported and encouraged in having full lives outside the office, they’re more productive and aren’t counting the hours until they can leave. Working all waking hours, canceling family and social events constantly to handle the latest crisis – these are signs of poor organization. It encourages running in circles and diving down rabbit holes. It rewards constant activity, when what the company needs is productivity. In fact, Bret and Kevin leave the office at 5:30pm every day, so they can focus on everything that’s going on in their personal lives. This sets a tone for the whole company, and means that no one feels like they’re being watched, or timed by their boss. Everyone puts in plenty of hours, in and out of the office, without feeling peer-pressured to stay when they shouldn’t, to look busy, or to play attendance games instead of meeting deadlines. Missed the first piece? 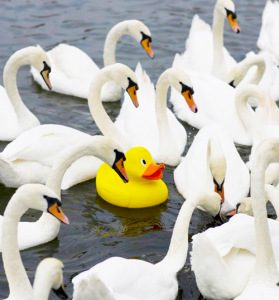 Read Diversity Part I: How To Strip Gender Bias From Hiring here. Hackbright Academy is the leading engineering school for women in San Francisco dedicated to closing the gender gap in the tech industry. Interested in partnering with us to hire software engineers and #changetheratio of women in tech?